A study using statistical tools shows only a five per cent chance that Earth will warm two degrees or less by the end of this century. Washington: Our planet may see a temperature increase of 2 to 4.9 degrees Celsius over the next 80 years, much higher than the target set by the 2016 Paris Agreement, a study has found. The study using statistical tools shows only a five per cent chance that Earth will warm two degrees or less by the end of this century. It shows a mere one per cent chance that warming could be at or below 1.5 degrees, the target set by the 2016 Paris Agreement, researchers said. "Our analysis shows that the goal of two degrees is very much a best-case scenario," said Adrian Raftery, professor at University of Washington (UW) in the US. "It is achievable, but only with major, sustained effort on all fronts over the next 80 years," said Mr Raftery, lead author of the study published in the journal Nature Climate Change. The new, statistically-based projections show a 90 per cent chance that temperatures will increase this century by 2 to 4.9 degrees Celsius. "Our analysis is compatible with previous estimates, but it finds that the most optimistic projections are unlikely to happen. We are closer to the margin than we think," Mr Raftery said. 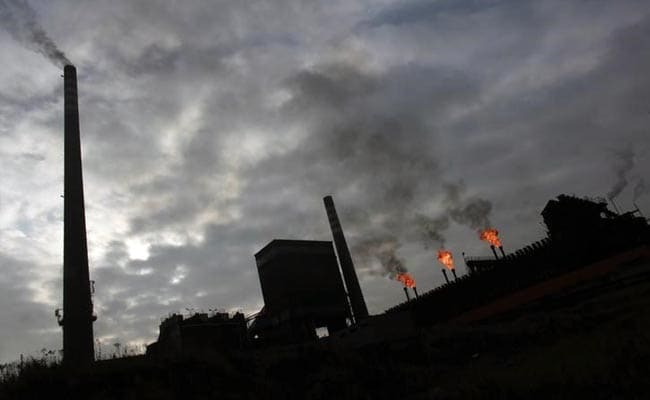 The most recent report from the Intergovernmental Panel on Climate Change (IPCC) included future warming rates based on four scenarios for future carbon emissions, researchers said. The scenarios ranged from "business-as-usual" emissions from growing economies, to serious worldwide efforts to transition away from fossil fuels. "The big problem with scenarios is that you do not know how likely they are, and whether they span the full range of possibilities or are just a few examples," Mr Raftery said. The new research focused instead on three quantities that underpin the scenarios for future emissions: total world population, gross domestic product per person and the amount of carbon emitted for each dollar of economic activity, known as carbon intensity. Using statistical projections for each of these three quantities based on 50 years of past data in countries around the world, the study found a median value of 3.2 degrees Celsius warming by 2100, and a 90 per cent chance that warming this century will fall between 2 to 4.9 degrees Celsius. "Countries argued for the 1.5 degrees Celsius target because of the severe impacts on their livelihoods that would result from exceeding that threshold," said Dargan Frierson, a UW associate professor of atmospheric sciences. "Indeed, damages from heat extremes, drought, extreme weather and sea level rise will be much more severe if two degrees Celsius or higher temperature rise is allowed. "Our results show that an abrupt change of course is needed to achieve these goals," said Mr Frierson.